China Eastern Airlines is owned by China Eastern Airlines Corporation Limited. A major Chinese airline, it is headquartered at Shanghai Hongqiao International Airport in Changing District in Shanghai, China. It is China’s second largest carrier in terms of passenger numbers, and operates regional, domestic, and international routes. In 2012 alone, it flew more than 73 million international and domestic passengers. In 2011, China Eastern Airlines and its subsidiary Shanghai Airlines became members of Sky Team, a global alliance of 19 top-quality airlines that flies to 1,024 destinations. Emirates retained their stranglehold on the World’s Best Inflight Entertainment awards at the 2015 Skytrax World Airline Awards in Paris. Finishing ahead of Qatar Airways in second place and Singapore Airlines in third, EK continues to have the edge over its closest global competitors despite continued hardware and programming improvements by carriers across the industry. Emirates secured the award for Best First Class Comfort Amenities ahead of local rival Etihad Airways and Singapore Airlines. At the top-end of the industry this is a very competitive category – particularly when assessing the quality levels between the top-5 airlines. The Change based flag carrier finished second in the global survey ranking edging out regional rival (and 2014 winner) Cathay Pacific Airways and ANA All Nippon Airways in the Asia region category. 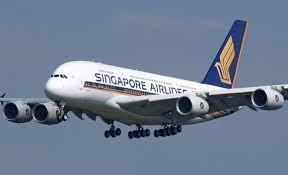 Singapore Airlines also achieved success at the front end of the aircraft with highly sought after World’s Best Business Class leading Qatar Airways and Cathay Pacific in second and third place. Air Canada is the largest airline and the flag carrier of Canada. It was founded in 1936 under the name Trans-Canada Airlines, and was renamed Air Canada in 1965. While it was originally a government creation, it has since been privatized. Its corporate headquarters is located in Montreal, Quebec, and its largest hub is at the Toronto Pearson International Airport in Mississauga, Ontario. It provides chartered and scheduled air transport for cargo and passengers to 178 destinations worldwide, and is a founding member of Star Alliance, an alliance of 28 airlines that was formed in 1997. Its 354 plane fleet includes the aircraft of its regional service provider, Air Canada Express. 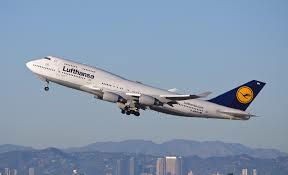 Deutsche Lufthansa AG, also known as Lufthansa German Airlines, is the flag carrier of Germany. It is the largest airline in Europe in terms of fleet size and overall passengers carried. It was previously a state-owned enterprise, but was privatized in 1994. Its corporate headquarters is located in Cologne, North Rhine-Westphalia, and Germany. Lufthansa Aviation Centre, its main operations base, is located at its primary traffic hub at the Frankfurt Airport. It flies to 18 domestic destinations and 197 international destinations in 78 countries worldwide. Its 401 planes include the fleets of Lufthansa Regional and Lufthansa City Line. 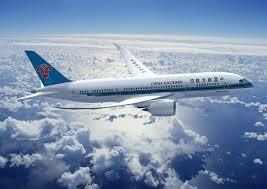 China Southern Airlines is owned by China Southern Airlines Company Limited. Its headquarters is located at Baiyun District, Guangzhou Province at the People’s Republic of China, and its main hubs are located at the Guangzhou Baiyun International Airport and the Beijing Capital International Airport. It is Asia’s largest airline in terms of passengers carried and fleet size, and is the fourth largest airline in the world by domestic passenger traffic. 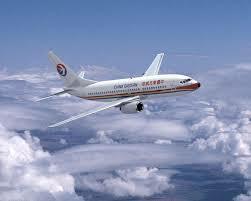 It is considered one of China’s Big Three airlines, together with China Eastern Airlines and Air China. It flies to 193 destinations and is a member of SkyTeam. It carried 86.5 million international and domestic passengers in 2012. 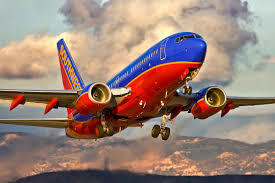 Located in Dallas, Texas, Southwest Airlines is the world’s largest low-cost carrier, and carries the greatest number of domestic passengers of any U.S. airline. It flies to 86 destinations in 42 states and Puerto Rico. It operates more than 3,400 flights daily, and only flies Boeing 737s. It is the largest 737 operator worldwide, with more than 550 in service, each flying an average of six trips daily. Its fleet of 683 includes the AirTran Airways’ planes, an airline it acquired in 2011. The integration of the two carriers is expected to be completed in 2014. American Airlines is another major airline in the United States. Owned by AMR Corporation and run out of Fort Worth, Texas, its largest hub is located at the Dallas/Fort worth International Airport, where it accounts for 85% of traffic and 83% of landing fees. It flies to numerous domestic and international destinations throughout Asia Pacific, Europe, South America, the Caribbean, and North America. Early in 2013, it announced plans to merge with US Airways, with American Airlines being the surviving name and branding. If the merger pushes through, it will create the largest airline in the world. However, the planned merger faces a civil lawsuit over anti-trust issues. The airlines, for their part, have vowed to continue the merger. 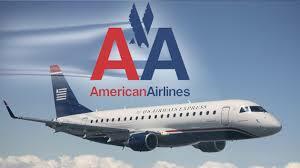 Its fleet of 873 includes American eagle, which operates most of its regional carrier flights. 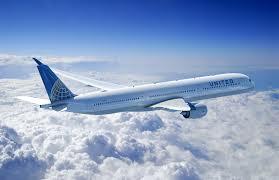 United Airlines, Inc. is a wholly owned subsidiary of United Continental Holdings. Previously owned by The Boeing Company, one of the world’s largest aircraft makers, its headquarters is located at the Willis Tower in Chicago, Illinois. It operates in 10 airline hubs in Japan, Guam, and the continental United States. With its acquisition of Continental Airlines, it now enjoys more revenue passenger miles than any other airline in the world. Its fleet of 1,264 includes the planes of its flight connection service brand name, United Express. It is the oldest airline operating in the US. Its headquarters is located in Atlanta in Georgia, and its hub and technical operations centre, Delta Tec hops, are located at the Hartsfield-Jackson Atlanta International Airport, the busiest airport in the world in terms of landings, take-offs, and passenger traffic. 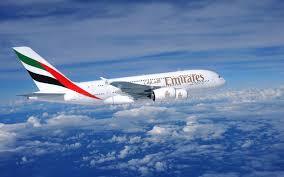 It flies to numerous domestic and international destinations, serving all continents except for Antarctica. It operates more than 5,000 flights daily, and is one of the founding members of the Sky Team alliance. 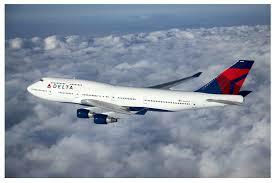 Its fleet of 1,280 planes includes the fleet of its regional service provider, Delta Connection.